This guy makes tons of money by just waiting in line for people. Every once in a while you read about someone who makes a living because of a really smart idea, and you feel like kicking yourself for not being the first person to think of it. 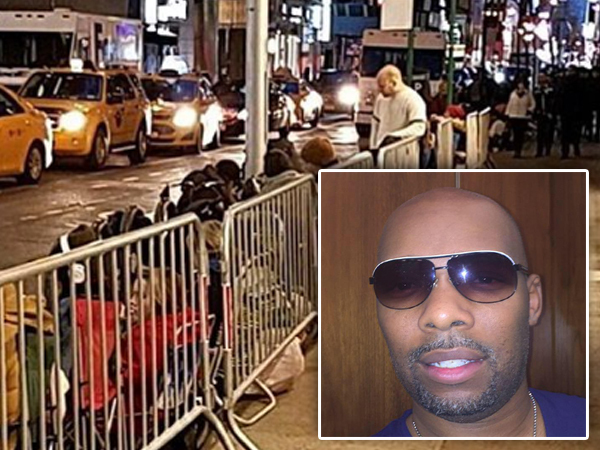 One of those ingenious people is New Yorker Robert Samuel, who makes tons of money by waiting in line on behalf of busy people. His clever idea was first put into practice when the brand new iPhone 5S appeared on the market in 2013. He knew that people would be queueing around the block to get their hands on this sought after gadget, so he posted an ad online offering to wait in line on behalf of someone. At this stage Robert was unemployed and desperate to work. After his first client had his brand new iPhone in hand more people asked him to wait in line for their iPhones. He made R4273 ($325) that day, he told Elite Daily. These days Robert and his team wait in line for anything from massive sales to concert tickets or if you’d like a takeaway meal they’ll even wait in line at a restaurant. By the beginning of 2016 he had 25 people working for him. He says employees range from pensioners to students to people who just need an extra income. “We have a nice mix of people,”," he told LLNYC. It’s mostly rich people who pay for their services, he says, and his staff are regularly paid to wait in line for the luxury designer’s latest fashion. Sometimes the get sideways glances because other shoppers wonder how Joe Nobody can afford to shop at these stores. His services cost $25 (R328) for the first hour and then thereafter $10 (R131) for every extra half an hour. Sources: New York Daily News, CNBC.